Photo of Toyota Prius courtesy of Toyota. 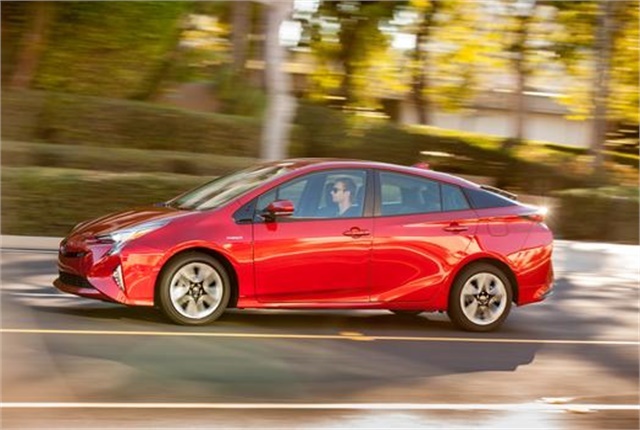 Toyota Motor North America is recalling approximately 7,600 2016 model-year Toyota Prius cars because of potential air bag malfunction. The recalled vehicles are equipped with a front passenger air bag that contains stored compressed gas in the inflator. A component in the air bag assembly may have been improperly welded or constructed. As a result, the stored gas may escape without a deployment signal and cause partial inflation of the air bag, Toyota said in a released statement. The problem appears more likely to occur when the vehicle has been parked and unoccupied for a period of time. An air bag that inflates in this manner can, under some circumstances, increase the risk of injury and the possibility of a crash, Toyota warned. The automaker will notify owners of the recalled Prius cars by mail, beginning in November. Toyota dealers will replace the front passenger air bag assembly with a new one, free of charge. Fleet managers can learn whether any of their vehicles are part of this recall by clicking here and searching by VIN. Toyota customer service can be reached at (800) 331-4331.